Everything you need to know about new golf equipment and gear including clubs, balls, GPS, even golf carts. A review of a new $2000.00 Ferrari Driver made along with Cobra to product a striking red driver built for speed. Golf articles, equipment, stories, hole-in-one reporrts all in this web site for women. This is a review of my new purchase of an Electric Golf cart this past December. This article describes Susan Osborne's new web site Ladies Golf Central where you will find golf apparel, shoes and accessories. This is a very easy web site to surf giving you many items to check out. Discribing the new in 2006 Precep S III Pearl that gives a soft feel when hitting with a driver or any irons. Good distance and length with your shots. Describing the new Adidas ClimCool Oasis Golf shoe. Where to find it and how much it will cost. An article about a new device called the golf Caddie. This device will tell you how many yards you have to the green or wherever you want your ball to go. Another Heavenwood Works for Me! This article explains a new Callaway Big Bertha Heavenwood Hybrid #3 with 29 degree loft that I recently purchased. This article explains a new type of golf game for handicap or wounded military with a gun that shots a ball called the Launcher. This game is called Air Force Golf. Are You Ready for Some New Clubs? This article described the wide variety of golf clubs with an analysis on their use to different types of golfers. Excellent coverage to help you find the right clubs for you. This is a review of a web site called www.betheball4u.com which is eye catching with an array of colorful ball markers, ornaments, tee bags etc. A review of my recent purchase of a #6 Big Bertha Hybrid golf club from Golfsmith. A review of new golf clubs with the black color scheme in drivers and irons. This article tells of my experience using www.budgetgolf.net in ordering two boxes of Precept Lady S III Pearl golf ball for $14.95 each. Famous for Big Bertha, Callaway offers many styles of clubs. Callaway Big Bertha Heavenwood #5 describes my new club that I received as a Christmas present from my son and his wife. Article about new designed golf balls. Companies are always working on new designs and covers to help our golf ball fly further and straighter. Discusses the new crystal golf balls that are just the right thing for woman golfers. Good soft feel, hits and travels true, colorful and fun to play with. An article about having problems with my driver and how I hope to fix it. I purchased a new pair of golf shoes from our Pro Shop of FootJoy LoPro Collection with a brown suede and while leather trim. A design that appealed to me as I love brown and needed a new pair of golf shoes. Article about a Golf Accessories Web site by the name of Frugal Dugal Golf Accessories. You will find some interesting items to go on your golf cart. Golf Balls do make a Difference in your Game! Looking at different golf balls and finding ones that help your game. With a Women golfer you will want to look for a ball that fits how you play this game. Golf Clubs - What Works for You. An article on buying golf clubs, from beginners to advanced players. Finding the right clubs and getting fitted to suit your stature. This article covers an article in the Golf Illustrated magazine on Wedge Play, proper stance, swing and motion through the ball. Listing of items I have reviewed and recommended of golf equipment and suggestion of ways to improve your game. A review of Golfsmith Retailers in golf and tennis equipment and apparel. An article about the new hybrid golf clubs and my experience with the Big Bertha H3 Heavenwood. Created by Ben Hogan, this line is well respected by professionals. This is a review about research in purchasing a new electric Golf Cart. This article explains the use of the ladies hybrid golf clubs. How it helps those who have trouble hitting their irons. Instruction and suggestion on how to keep your golf equipment in good shape. Checking and cleaning clubs, changing grips, cleaning shoes and replacing cleats. Keeping all golf accessories close at hand and ready to use. It is important to know what type of golf ball suits your game. 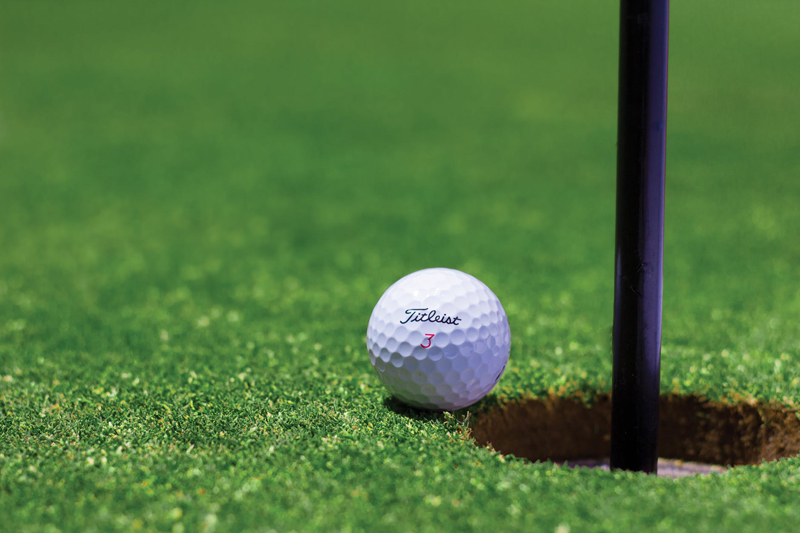 This articles explains the different types of golf balls. This article is a review of Sassy Golf Gloves by Elizabeth Carless who owns this web site www.sassygolf.com. She has designed a sassy flower motif with added little charms. My new Callaway Golf clubs arrived last week and this is an article describing my playing and practicing with these 10 clubs. Am article about a company called www.Mysurbuy.com an on line company that sells golf clubs and accessories. This article reviews a newly designed ladies golf bag where clubs are pulled out in front opening of bag. An article on putters as we hear so much on putters, new designs, new length to help lower your score. Next to drivers the putter is most often changed. An article about a terry seat cover for those hot or cold plastic seats on your golf club golf carts. An article about a new item to clean your golf shoes called Shwipes. These are pre-moistened towels good for leather shoes. A review of how to check on your golf equipment to get ready for the new season of playing golf in 2013. Article about a cooler to take with you during your golfing round. Describes it many uses to help you during play. An article describing a comfortable summer golf shoe finding it is not for sale and no where to be found. It is a shame that FootJoy took it off the market as I like this shoe. This is an article about the two Sweet Spot Golf Club I tried. Brian Allman sent me the #4 hybrid and a putter to try out and write my opinion about them. An article about a women's visors that are quality made in America with choice of designs. An article about that all important club in your golf bag, the Driver. This gives suggestions and tips on how to choose one that fits you whether you are short or tall. This is a review of a new innovative golf bag where your clubs are snapped into slots at the top of the bag. Article about using the Fairway Woods. It takes practice and patience to use these clubs and they are more difficult to control. Trying to hit the ball off the grass instead of a tee makes your concentration on these shots very vital. A review concerning a round of golf using the Titleist golf ball DT SoLo. Explaining the different types of golf shoes for woman and featuring a new golf shoe by Adidas for summer wear. A review of the continuing upgrade of Mill Creek Country Club. Working beginning on building new green. New hot items, people, equipment in golf for next year. A review of new golf grips in white. As they say to show that you need to keep grips clean as we very seldom clean the black onesd.